Alia Condominiums is located on the north side of the Mississippi River across from downtown Minneapolis. 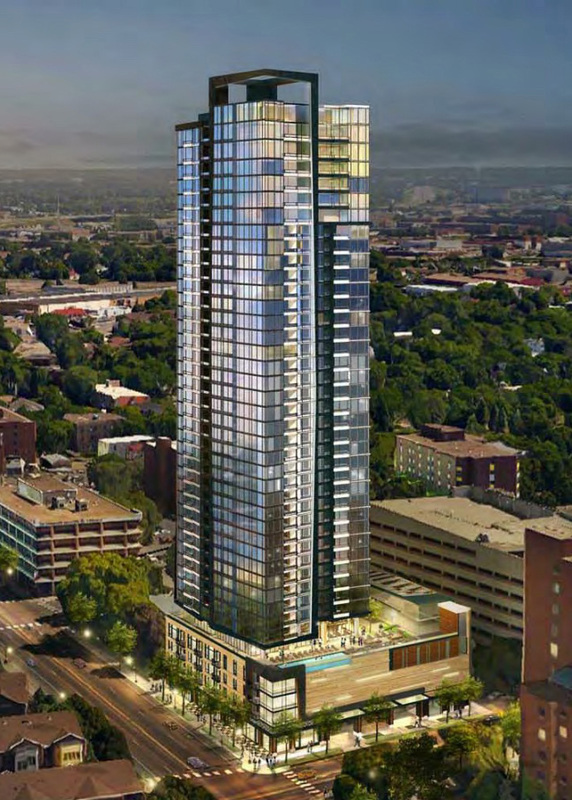 The mixed-use development consists of a 41-story, 662,000 square foot cast-in-place post-tensioned concrete tower with 218 residential units and retail at street level. Amenities at the fifth-floor podium level include an extensive fitness center, spa facilities, and multiple swimming pools. Three levels of integrated below-grade and above-grade parking accommodates 374 vehicles. Lateral forces on this high-rise structure are resisted by a primary concrete core enhanced with concrete outrigger walls to provide an efficient, cost-effective solution to the high wind forces and dynamic vibration criteria while keeping the floor plate efficiency high to maximize salable area.